Many influential people in Southeast Asian countries are predicting the region would see moderate to strong economic growth in 2019 in spite of pessimism underpinned by uncertainty, according to a survey released on Monday. In line with growth displayed during the previous months, hiring activity in the IT and Telecom industry blossomed in Southeast Asia, with all three countries reporting double-digit growth during November. 2018 proved to be a tumultuous year for the region. 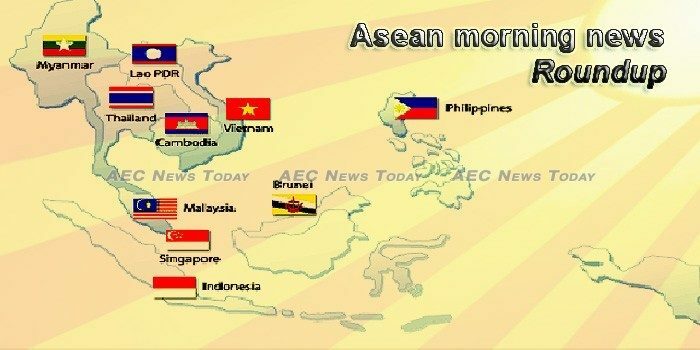 Some ASEAN countries faced major challenges. South-east Asian countries should be cautious in negotiating with China on its flagship Belt and Road Initiative (BRI) to avoid being trapped in unsustainable debt, 70 per cent of respondents said in a policy survey released today. THE revised ASEAN Guidelines on Good Regulatory Practices (GRP) were endorsed by the ASEAN Consultative Committee for Standards and Quality (ACCSQ) during its 50th meeting from December 11-13, 2018 in Vientiane, Lao PDR. For the last two years, Southeast Asia has seen a large influx of investors and capital flowing into the region. Once a smoker’s paradise, Southeast Asia has been turning up the heat on its tobacco-addicted citizens with regulations and taxes to encourage them to kick their habit. Venture capital fund ATM Capital announced the completion of the first phase of fundraising, with a total fund size of US$200 million. An earthquake with a magnitude 7.0 struck 173km northwest of the city of Ternate, North Maluku, in the Moluccas group of islands in Indonesia late on Sunday (Monday local time), according to the US Geological Survey website. West Java is the heartland of Indonesian manufacturing, and industrial zones on the outskirts of the provincial capital city, Bandung, are, according to the Ministry of Industry Indonesia, responsible for more than 14 per cent of the Southeast Asian nation’s gross domestic product. East Kalimantan -Province saw a trade surplus of US$12.52 billion in the January-November 2018 period, according to the local office of the Central Statistics Agency (BPS). Singapore’s water agency PUB said on Sunday (Jan 6) that it supplied additional treated water to Malaysia this week after pollution disrupted production at Johor’s water plants. There is a power play ahead for Singapore banks as they cosy up to fintechs that offer quicker ways to scale and deepen their customer reach.